As I was compiling our family summer bucket list over the weekend, I kept thinking of a few things here and there that I’d like to do or that I’d like to get done myself. And I thought, “you know what? 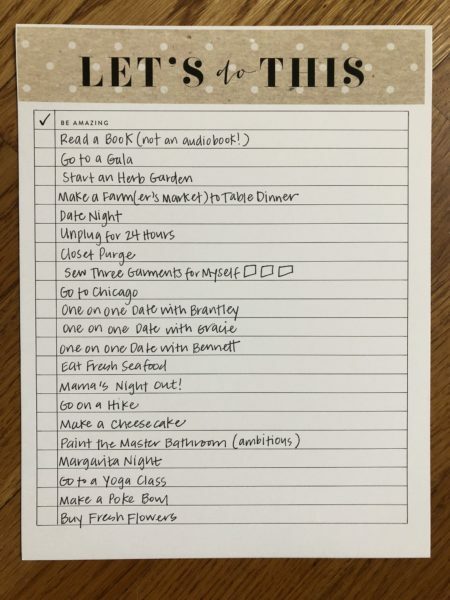 We are going to have an awesome summer with all these fun things to do together as a family. But mama has some things to do too! I think I need my own summer bucket list!” And with that, the #MamaSummerBucketList was born! What’s on your to-do list or mama summer bucket list? ?